Capacity building, technical assistance, training on best practices, adoption of technology and reforestation. 812 families in 27 coastal communities, small producers of subsistence crops such as corn, sorghum, beans, cassava, sweet potatoes, squash and sesame. ICADE and ADEPES (Honduras), CIDEA-UCA and NITLAPAN UCA (Nicaragua), FULSALPRODESE (El Salvador), OIKOS (Portugal) and GVC (Italy). European Union, Catholic University of Nicaragua and local partners in Nicaragua, Honduras and El Salvador. This project was created to contribute to disaster risk reduction in the Gulf of Fonseca by strengthening local capacity for adaptation to climate change and mitigation of CO2 emissions. The Gulf of Fonseca in Central America is a region that is highly vulnerable to extreme weather events (drought, flooding, tidal surges), where actions for mitigation and adaptation to climate change are considered as priorities in national and regional policies. 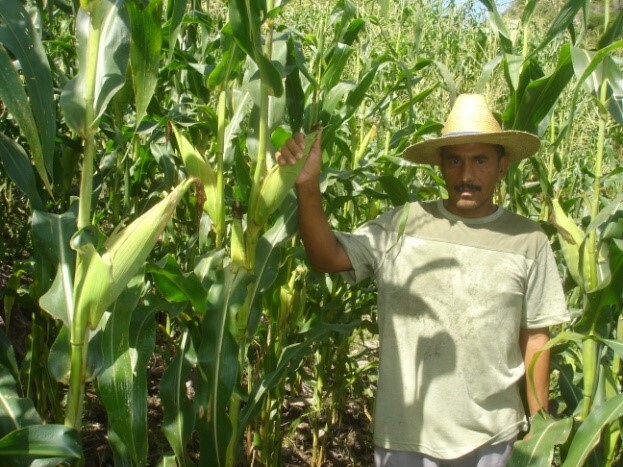 In Honduras, the project focuses on the government’s priorities under the framework of the “Dry Corridor Alliance”, which seeks to promote an integrated packet of technologies and training services. The technical assistance required includes implementation of best agricultural practices, provision of rural financial services, linking farmers with the market, education for families on nutrition and health, and improvement of household sanitation conditions to adapt them to the effects of climate change. The Gulf of Fonseca territory faces a number of crisis scenarios such as shortages of fresh water, droughts, pests, crop losses and/or declining yields, fish shortages, water pollution by large companies and residents, lack of income alternatives, problems with gangs (in El Salvador), and a macho culture that impedes the active participation of women in the economy. The combination of these problems makes it difficult for many families to obtain the income necessary to survive and they remain in situations of poverty and food insecurity. The project worked with 812 owners of small farms (2 hectares on average), but also involved local governments, regional representatives of Central Government institutions, and representatives of civil society organizations. The implementation included the signing of commitments for participation by the producers, the implementation of Field Schools, workshops and the establishment of demonstration farms to validate technologies for adaptation to climate change. Pilot experiences for Adaptation to Climate Change were also implemented, such as eco-woodstoves, biodigesters, rainwater harvesting infrastructure, and specific training for community leaders and municipal technicians on risk management. In addition, awareness campaigns and reforestation of mangroves, one of the most sensitive and threatened ecosystems in the tropics, were developed. By project end, improvements in the capacities of local governments, agricultural producers, ranchers and fishers were evident. All the groups demonstrated greater understanding and capacity for developing actions to reduce the effects of climate change. 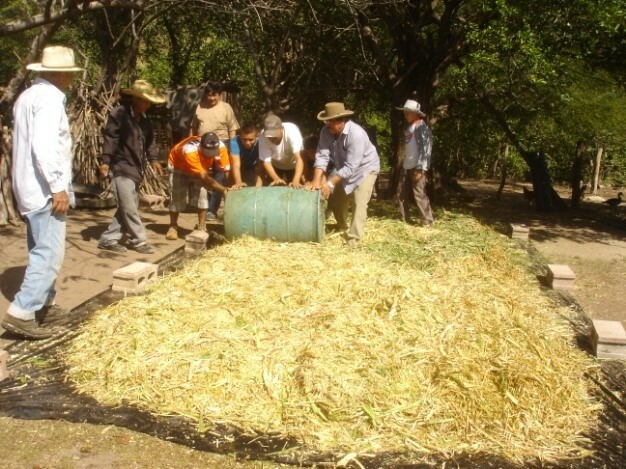 The training processes generated knowledge and learning that the project’s direct beneficiaries have replicated and even improved with the adoption of cultivation technologies, preparation of organic fertilizers and foods for large and small livestock species. The project validated technologies, creole seed varieties, the use of cattle manure as energy for cooking, eco-woodstoves to reduce firewood consumption, rainwater harvesting, and the use of natural slopes for crop diversification with irrigation systems. In addition, the dissemination of knowledge about climate change was strengthened thanks to a variety of spaces for coordination and public-private synergies established during project implementation.